Do You Wish You Had a ROAD MAP to Guide You Through Your Divorce? It can cost you your life savings. It can drag on for years. It can devastate your kids. Yet, unless you’ve been divorced before, you have no idea what lies in front of you. You don’t understand the divorce system. You don’t know what to do, and what to avoid. All you know is that you want to get through your divorce with the least amount of pain and problems possible. The Divorce Road Map Program can help you do that. The Divorce Road Map Program will give you the knowledge and the STRUCTURE you need so that you can PLAN your divorce. 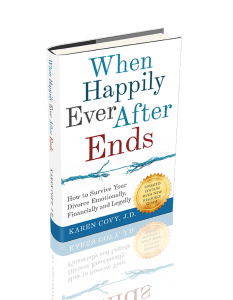 It is full of simple, actionable steps that will help you get through your divorce with clarity and control. Plus, it can save you time, money, and a whole lot of heartache. How to establish goals and develop a plan so that you have a better chance at getting what you really need in your divorce. To Get Your Divorce Road Map CLICK HERE.